AP PDF to HTML Batch Converter is a useful pdf tool, the converter produces fully functional HTML documents with text,pictures,graphics,table,links and bookmarks, using the original PDF document formatting, and it is more suitable for Internet publishing. IObit Uninstaller 6 offers the easiest and fastest solution to completely delete programs, useless Windows Apps, problematic Windows updates and browser plugins. Even it’s a malicious plugin or toolbar that can't be removed by the anti-malware programs. 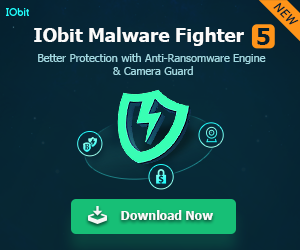 With a larger database, IObit Uninstaller 6 detects and removes more malicious browser plugins, toolbars and injected programs to protect most web browsers including Microsoft Edge. With enhanced Powerful Scan, all leftovers can be removed completely just like they were never installed in your PC. What’s important, IObit Uninstaller 6 offers to create a Restore Point before you uninstall any program to help you undo a mistake quickly. + Improved program algorithm to display Infrequently Used programs more accurately. + Continually optimized Powerful Scan to scan out and remove more leftovers. + Fixed the occasional failure of installation directory recognition. None cons to speak of. I've used the Iobit Uninstaller for a couple of years now, and it just works like a charm. No frills or extras, it does what it's meant to do without problems or incidents. It doesn't take up a lot of disk space and has worked with everything I've tried it with. I definitely recommend it ! Terrific uninstaller that can remove toolbars and 64 bit programs. A nice touch is the way it automatically sets a restore point before uninstalling, which others don't do. Does a good job of cleanup afterwards, but may sometimes miss stuff. Also, it blocks the online survey page that many programs try to take you to, which can be either a pro or a con.